Running about 2.5 hours, this edit tries to strengthen the lead characters’ arcs by giving Claire more agency and making Owen a bit more flawed. 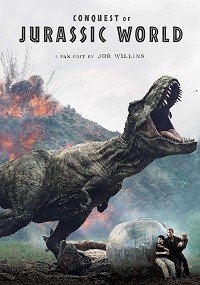 By intercutting the films I tried to emphasize the themes of hubris and contempt for nature that tie more directly to the original Jurassic Park. I used roughly 60 minutes of Jurassic World and 90 minutes of Fallen Kingdom.